After 15 attempts, Australian rider Mathew Hayman of Team ORICA GreenEDGE took the victory at Paris-Roubaix. This strong rider has typically worked for others, but this year he seized the opportunity to take the biggest win of his career. 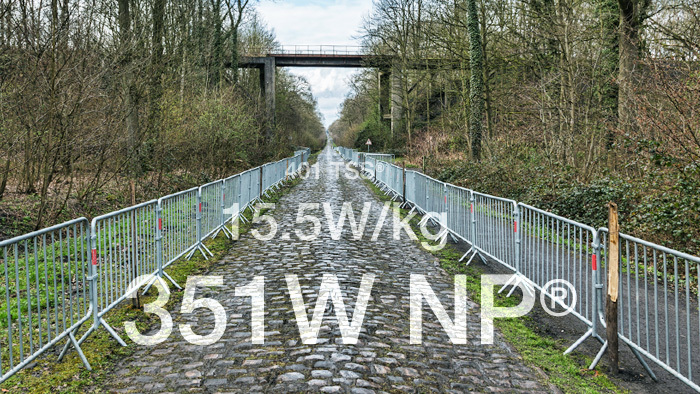 View his power numbers and interact with his power file to see how strong his effort was and what it takes to win one of the biggest races in cycling. View Hayman’s full SRM power file. Unfortunately, at 177km into the race Hayman’s speed sensor stopped functioning (likely due to the harsh nature of the course). This is why there is no speed or distance for the final hours. Hayman was in the early break of 16 riders that formed about two hours into the race. His final Training Stress Score® (TSS®) was 401, or the equivalent of four all-out 40K time trials back-to-back. 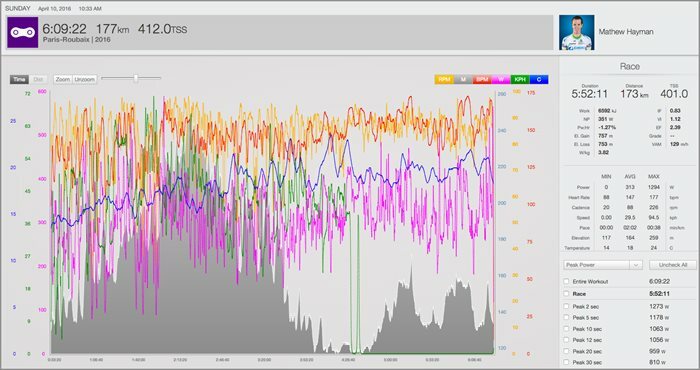 Orica GreenEDGE uses TrainingPeaks to optimize their race day performance. Start your free trial and begin tracking, analyzing, and planning to reach your goals.